It can be installed over Yitzi's patch--the installation will just change a few bytes of terran.exe and terranx.exe to load my dll's. For better formatted and more up to date information on the project, go to the github project page. No big bug fixes or new features, just some minor UI tweaks for things that annoyed me. The patch is fully compatible with SMAC, SMAX, and Yitzi's patches (last tested against v3.3B). *Opening and in game movies are fully compatible and no longer block <ALT-TAB>. *Configurable zone sizes and scroll speed. "Min Scroll Speed" setting is the speed of scrolling when the mouse just enters the zone, and "Max" is the speed with the mouse fully against the edge of the screen/window. *Details (units, cities, improvements, etc.) are now shown even when fully zoomed out--can be turned off in Prefs if that causes anyone performance issues. *Yields are displayed as though for a faction with no current max resource per tile limits--its main purpose is to make it easier to see where to place a city. *New in-game menu and prefs window to manage the new features. *1st mode of existing <T> cycle now hides forests and fungus so you can see what's under them. *Mouse wheel controls zooming when the map is shown, but controls list scrolling when a list window is shown. 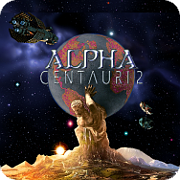 The entire patch may be temporarily disabled by setting "Disabled=1" in the [PRACX] section of Alpha Centauri.Ini in the application's directory. It may be permanently disabled by deleting prac.dll and prax.dll in the application's directory or by uninstalling. Thanks to everyone at http://alphacentauri2.info for their comments and suggestions, and specially to Yitzi and Scient for sharing research from their patches. Everyone is free to use, distribute, and modify this patch with no limitations, including bundling it in other patches and modifying the source code. *Window close box now acts as though the <ESC> key was pressed instead of minimizing the window. *Added removal of GOG <ALT-TAB> blocking to installation. *Re-enabled scroll wheel zoom (accidentally disabled in 1.02). *Significantly improved zoom level calculation. *Fixed lockup when zooming very large maps. *Fixed incorrect computation of lower vertical scroll bound. *Statically linked RTL to remove dependency on RTL DLL. * Change: No longer becomes windowed when window loses focus. * Change: TAB no longer toggles windowed/full-screen. * Change: ALT+ENTER now toggles windowed/full-screen mode. * Fix: May fix colour calibration problems. * Feature: Can now set MoviePlayerCommand in .ini. * Fix: Yitzi's patch 3.5 includes an 'Alpha Centauri.Ini' that sets bad PRACX options. I now look for them at installation time and change them to the defaults. There will be false positives, but it's better than the status quo. * Some versions of the Alpha Centauri.Ini packaged with yitzi's patch disable PRACX. If you can't open the PRACX menu, check the Ini file. v1.09 and up of the PRACX installer try to fix this for you. * PRACX will not work with the official version of the game. You need to install the unofficial patches first. * Windows 8 and later disable DirectPlay. Try re-enabling it ("Turn windows features on and off"). I used NSIS for the installer because that's what Scient was using, but I saw some reports of it giving a false positive to some antivirus software--if anyone runs into that, please let me know and I'll switch to a different installer. I'll post the source code in a few days--I want to clean it up a bit and make sure no one finds a bug first. Yitzi--just installing it will add it to your .exe that you can then distribute--the .exe itself isn't including in this install, it just modifies a few bytes in the SELFMOD segment and adds itself to the class initialization table. Left the internet, more-or-less.... Might drop in occasionally. Ok, having Win 8.1, I run the installer, but it seems the exe files are not patched. "... can't start because MSVCR120D.dll is missing..."
or maybe the problem is antivirus? Mart, go to http://www.microsoft.com/en-us/download/details.aspx?id=40784 and download and run vcredist_x86.exe, then re-install my patch, that should fix it. Running pracxpatch.exe gives a message window "program has stopped working..."
one more thing, I have 64-bit system. Maybe this is the problem? I think virtually all systems now are 64-bit. I'm attaching the zipped .exe file, you can try just running it--if it's AV, that should fix it, if it's a problem with the Visual C roundtimes it will probably crash as well. Has anyone else installed it yet? Tested and working on my win7 x64 vmware install I use to debug the game. Nice work! I only tested the full screen / window mode and resize features. However, it installed ok and no problems there. It's still complaining about the dll? Had you manually copied msvcr120d.dll to your system directory from somewhere? It has to be registered, not just copied--if you manually put it there, delete it and retry the msvc install. You might also install the x86 version of the redistrib from that site. I've got to go pick up my son, but I'll look at this more when I get back. I did some online search. Msvcr120d.dll - Debug version of C runtime. No redistribution allowed. Can it be, that pracxpatch.exe could refer to Msvcr120.dll, and this would solve the problem? I reinstalled vcredist_x86.exe, but Msvcr120d.dll is not in system32, Msvcr120.dll is though. Ah, yeah, I did compile the debug version. I'll recorecompand repost when I get home, about 30 minutes. I miss Borland, I hate all these MS dlls. Ok, I replaced the attachment at the top with the release compile, that should fix your issue, Mart. Yes, it works very well now. I checked much of the new functionality. Options screen - very nicely done, works excellent. A question about V key. "v" is in the game for something like - find a unit to move, isn't that in conflict? This feature does not work for me.